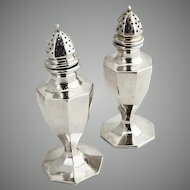 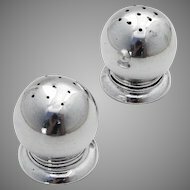 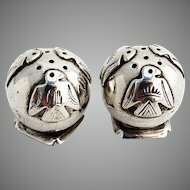 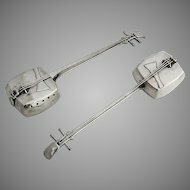 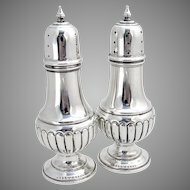 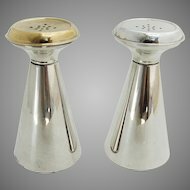 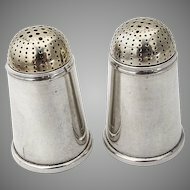 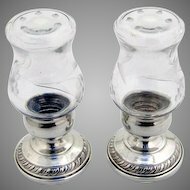 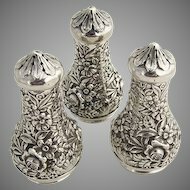 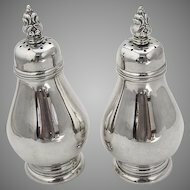 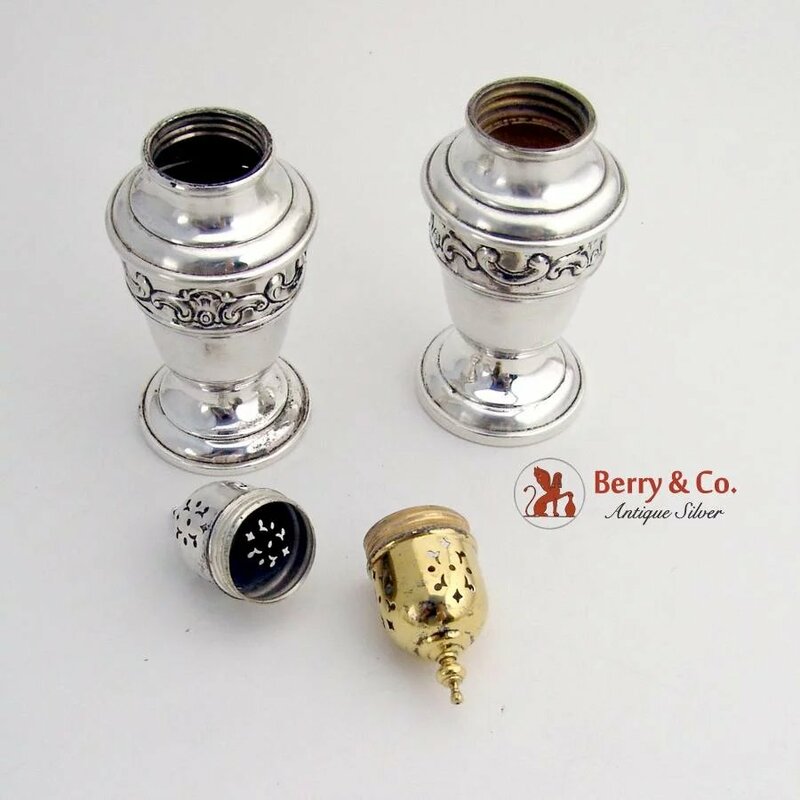 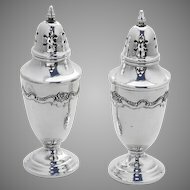 American sterling silver salt and pepper shaker set in the Strasbourg pattern by Gorham. 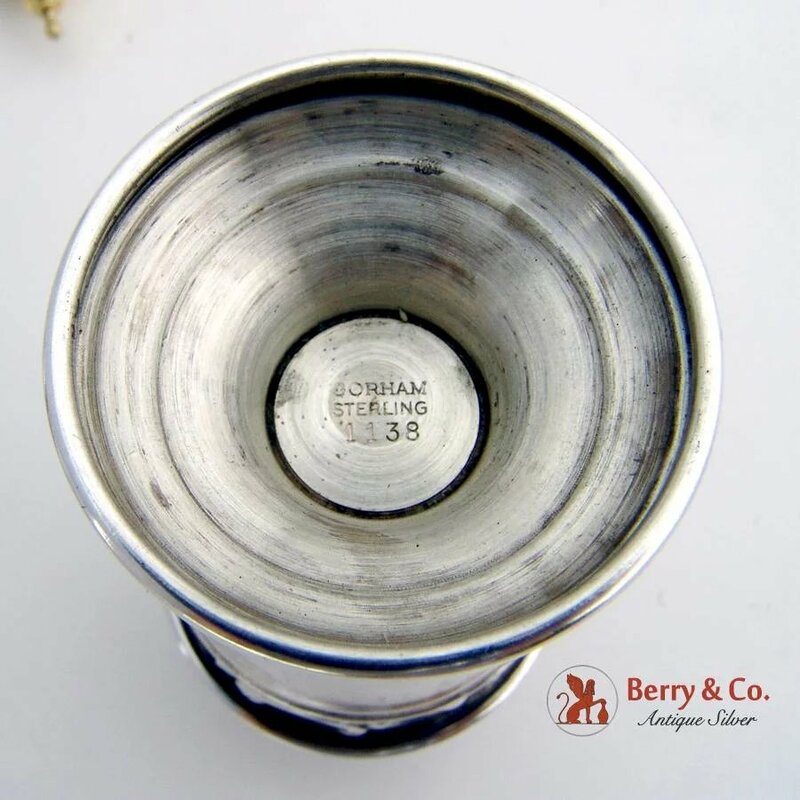 The pattern was patented in 1897 and these date from c.1950. 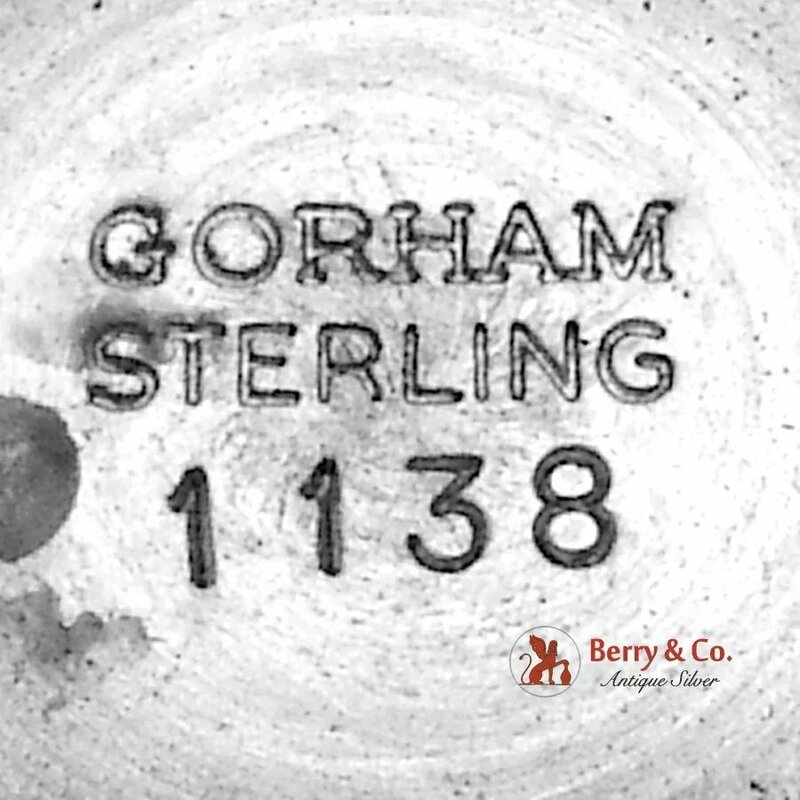 Marked 1138. 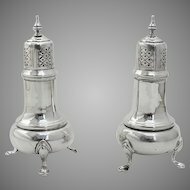 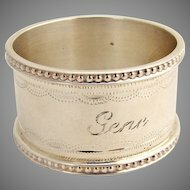 One lid is gilt to prevent saly corrosion The lids screw off. 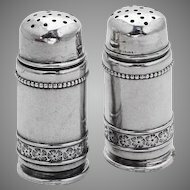 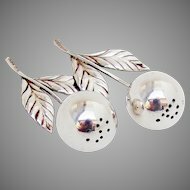 This attractive set includes 2 shakers that measure 1 3/4" in diameter by 4 1/2" tall. 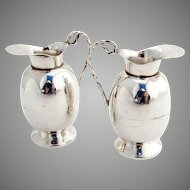 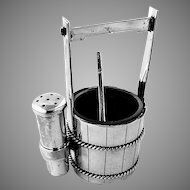 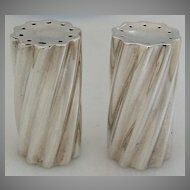 The shakers weigh a combined 2.5 ozt.